Reparative micro-exfolliant peel for feet with 20% Urea. Daily micro-exfoliation made from fennel seeds and apricot kernels to reduce thick skin and gradually normalise and restore the skin. Footcare Pack 20% Urea: Reparative micro-exfolliant peel 75ml. + Reparative refreshing hydro cream 75ml. 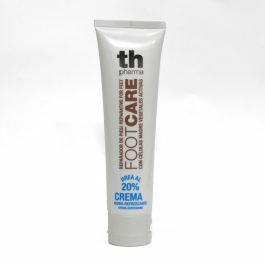 Reparative refreshing hydro cream for feet, with 20% Urea. Ultra-moisturising cream with hydro-refreshing elements including rose petal and lemon juice.